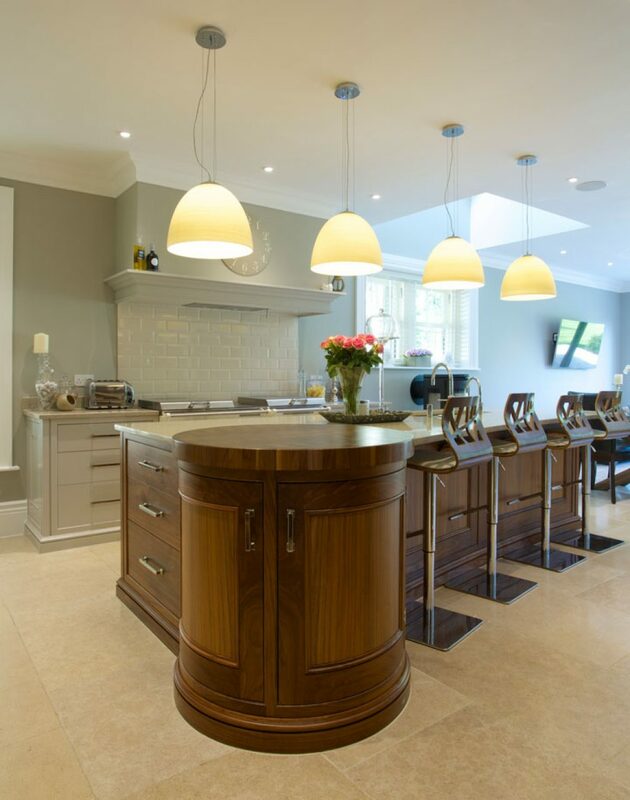 Occasionally you meet a client who wants to make their kitchen look as ‘wow’ as possible. 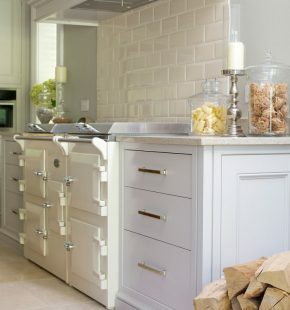 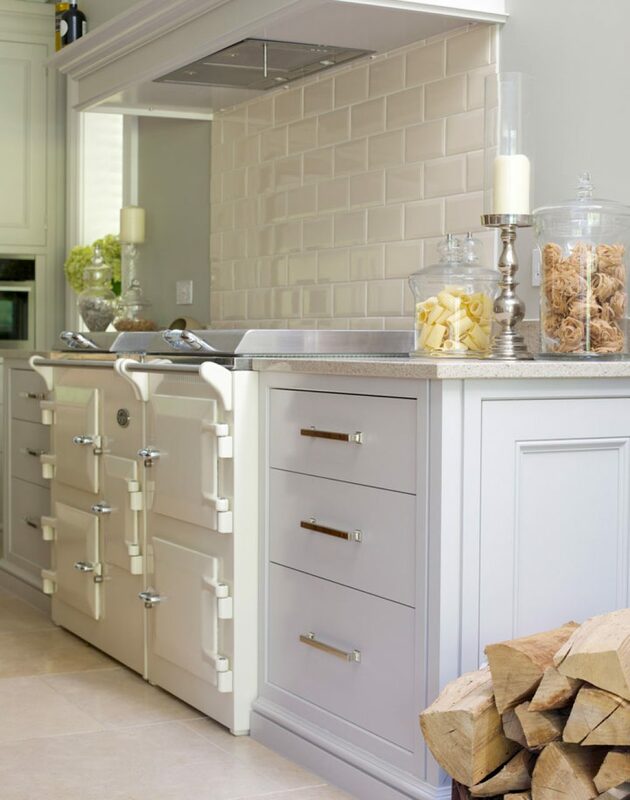 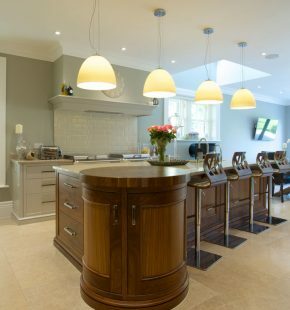 This was such a case although Nick designed it in such a way that it didn’t look ostentatious but was very obviously a kitchen that was specifically designed for this client, who had built his own very chic house near the south coast. 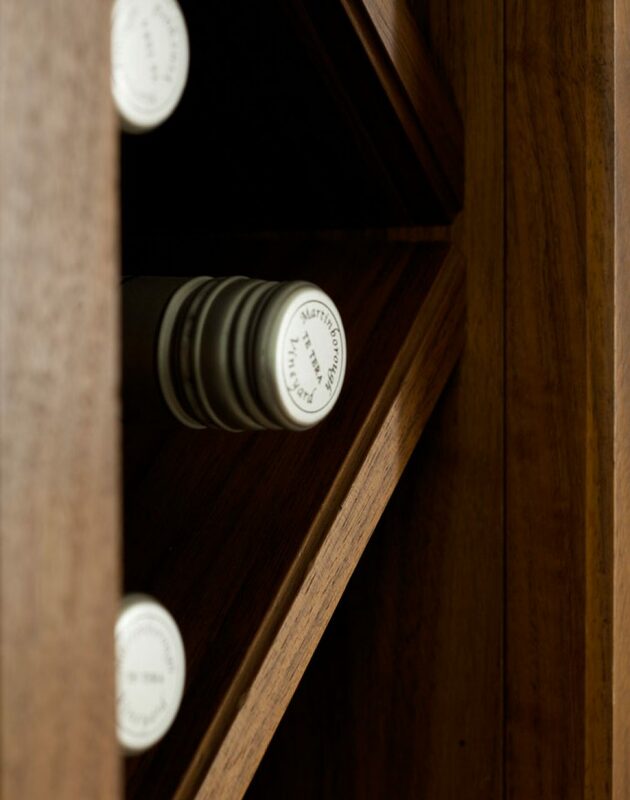 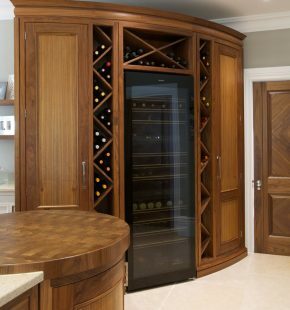 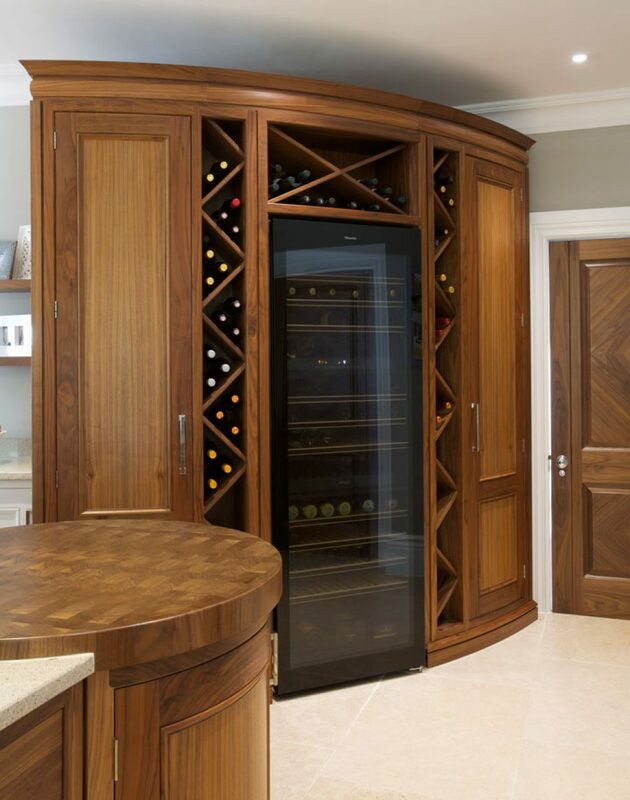 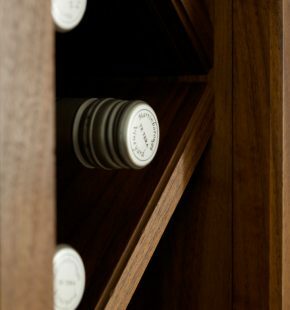 The first thing that strikes you when you walk in is the huge amounts of American black walnut and the huge curved section as you enter the room which houses the vast Miele wine conditioning unit which is then flanked with wine storage and on either side tall larder cabinets. 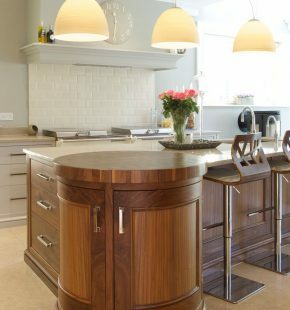 To avoid the kitchen feeling overbearing, it has been softened with cabinetry in shaded white and balanced by a long narrow central island also in American black walnut, which features a pale limestone worktop with a walnut end grain chopping block. 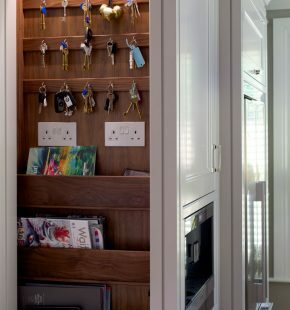 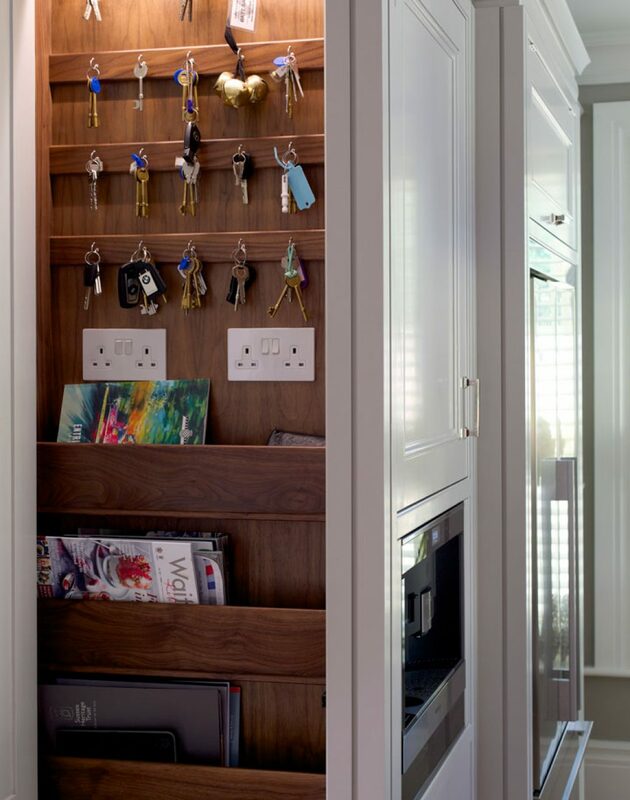 There are lots of lovely ideas in here: curved shelving, a slender open cupboard for keys and magazines a space for the free standing wood burner- and a lot of storage, yet it manages not to feel busy or over full.